Simon SC Tay is a public intellectual as well as an advisor to major corporations and policy-makers. He is Chairman of the Singapore Institute of International Affairs, the country’s oldest think tank and founding member of the ASEAN network of think-tanks. An independent, civic institution, the SIIA is ranked by an international survey a leading think tank in Asia. He is concurrently a tenured Associate Professor, teaching international law at the National University of Singapore Faculty of Law. He has also taught as a visiting professor at Harvard Law School, the Fletcher School and Yale University. 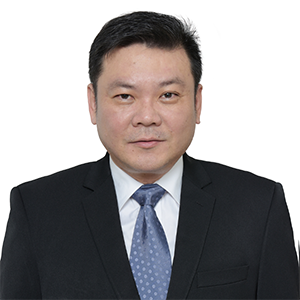 Prof Tay is also Senior Consultant at WongPartnership, a leading Asian law firm of some 300 lawyers and with offices in Singapore, China and the Middle East, and practices that cover the key economies in ASEAN. He serves as independent director or advisor on boards for global companies, Mitsubishi UFJ Financial Group of Japan, the LGT Private Bank, and Eurex Clearing Asia (a subsidiary of the Deutsche Börse Group) and three leading companies in the region, Far East Organization and Hyflux Ltd of Singapore, and Top Glove Corporation of Malaysia. 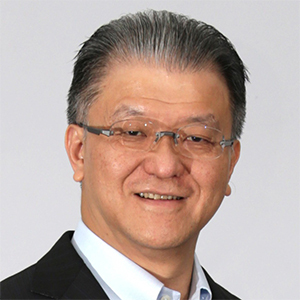 His previous corporate appointments include the Toyota Motor Corporation Global Advisory Board (2010-15) and as a Corporate Advisor to Temasek Holdings (2006-09). From 1992 to 2008, he served in a number of public appointments for Singapore, serving as Chairman of the National Environment Agency, reporting to the Minister (2002-08); an independent Member of Parliament (1997-2001). He is a prize winning author of fiction and poetry. In 2010, his novel City of Small Blessings was awarded the Singapore Literature Prize and his most recent collection of stories, Middle & First, was published this year. He also holds a Masters in Law from Harvard Law School (1993-94), which he attended on a Fulbright Scholarship and where he won the Laylin prize for the best thesis in international law. 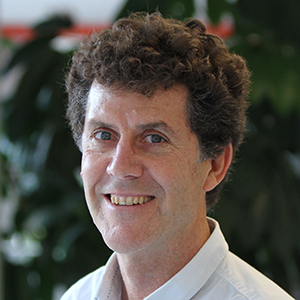 Rod is the Global Director of the Forests Program, with oversight of Global Forest Watch, the Forest Legality Initiative and the Global Restoration Initiative. He is responsible for the Forests Program’s overall leadership, management, outreach, and fundraising. Before joining WRI, Rod worked as the Forests Director at WWF International. In earlier roles at WWF, he coordinated the World Bank/WWF Forest Alliance and led WWF’s forest work in the Asia Pacific region. Prior to his time with WWF, Rod worked as a forest policy adviser in Indonesia, Papua New Guinea and the Solomon Islands. 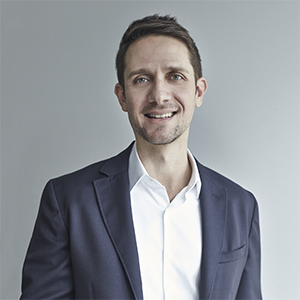 Rod began his career as a lawyer in Australia and has a Master’s Degree in Environmental Law from the Australian National University. 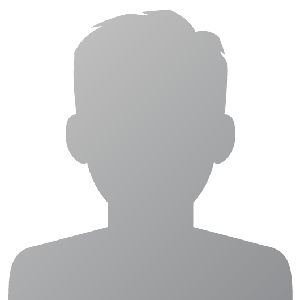 Rod likes getting outdoors and is a keen surfer, snowboarder and cyclist. A number of sustainability targets by various governments and companies are due by 2020 and realising them is key to strengthening the credibility of these institutions. These include 100 percent sustainable sourcing, as well as the No Deforestation, No Peat and No Exploitation (NDPE) commitments by 2020. In ASEAN, governments have made similar commitments such as a haze-free ASEAN by 2020. Indonesia’s Peatland Restoration Agency (BRG) also has a mandate to restore 2 million hectares of degraded carbon-rich peat forest by 2020, following the 2015 haze crisis. As 2020 draws near, however, questions arise as to how far these targets have been achieved and whether new solutions are needed to address various agroforestry challenges in the next decade. How successful are ASEAN government agencies and agroforestry companies in meeting their 2020 sustainability targets? What are the environmental and social issues that governments, companies and financial institutions must prioritise, from now to 2020? What can we do differently, to address challenges in the agroforestry industry post-2020? 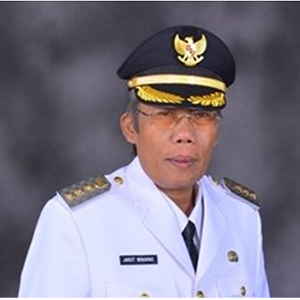 Nazir Foead was appointed by the President to lead Peatland Restoration Agency of the Republic of Indonesia (Badan Restorasi Gambut Republik Indonesia/ BRG RI) in January 2016. He has to lead restoration actions of 2 million hectares of Indonesia’s peatland within five years. Prior to this, Nazir joined the Climate and Land Use Alliance as the Indonesia Initiative Coordinator in February 2014, to direct grants and support for Indonesia’s CSOs. He was the Conservation Director of WWF Indonesia, managing over 300 staff in 26 conservation sites, from 2010 before joining the Alliance. Trained as forester and conservation biologist, he spent his earlier professional career from late 1980s in the interior of Kalimantan, Maluku and Papua running biodiversity assessment, learning from and interacting with the indigenous peoples as well as running investigations illegal logging. In the last sixteen years of his career he dedicated a major part of his time in engaging with the drivers behind the conversion of topical tropical forest in Indonesia, including land use policies, palm oil, and pulp and paper. He got the Bachelor degree in forestry from Gadjah Mada University (1992), and Master degree in conservation biology from the University of Kent, UK (1996); and intensive courses in Sustainable Forest Management in Gottingen University, Germany (1995) and DNA analysis in Indiana University (1997). George Tahija is a Commissioner and Chairman of the Risk Management Committee of PT Austindo Nusantara Jaya Tbk (ANJ), an Indonesian company that has been publicly listed on the Jakarta Stock Exchange since May 2013. With his family in 1990, Mr. Tahija co-founded the Tahija Foundation to execute philanthropic endeavors in Indonesia. With his wife, Laurel, he is a founding member of the Perkumpulan Mandiri K-12 School (“SPM”) in Jakarta. Mr. Tahija serves as Emeritus Trustee of the Darden School Foundation Board of Trustees and the Global Advisory Council of the Darden Graduate School of Business at the University of Virginia. He is a co-founder and Chairman of the Coral Triangle Center (CTC). Since 1990 Mr. Tahija has served as a member of The Nature Conservancy (TNC) Indonesia Chapter’s Advisory Board. Presently Mr. Tahija is the Chairman of Yayasan Konservasi Alam Indonesia, TNC’s Indonesian foundation, and Vice Chairman of TNC Asia Pacific Council. He is a member of the Young Presidents’ Organization (YPO) Indonesia Gold Chapter. Mr. Tahija has been a member of the Asia Business Council since April 2002 and served on the Board of Trustees from March 2007 – March 2013. He is an author of A Walk in the Clouds (2005) and photographer for Land of Water, Vol. 1 From Bali to Komodo (2006). In the past five years, Mr. Tahija has summited Mt. Kilimanjaro, Tanzania; Carstensz Pyramid, Indonesia and Mr. Elbrus, Russia. Mr. Tahija holds a B.Sc. in Mechanical Engineering from Trisakti University, Indonesia, and an M.B.A. from the Darden Graduate School of Business at the University of Virginia, USA. 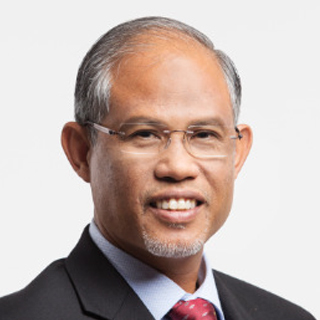 Masagos Zulkifli is Singapore’s Minister for the Environment and Water Resources which oversees the National Environment Agency and PUB, Singapore’s National Water Agency. Mr Zulkifli entered politics in 2006, after being elected as Member of Parliament for Tampines Group Representation Constituency, and was appointed Senior Parliamentary Secretary for the Ministry of Education. Prior to that, Mr Zulkifli was working in Singapore Telecommunications Limited and last held the position of CEO, SingTel Global Offices. From 2008 to 2014, Mr Zulkifli held other positions within the Singapore Government, within the ministries of Foreign Affairs and Home Affairs. He took on his current appointment in October 2015. The introduction of various government measures and industry initiatives have come to reflect growing expectations for companies to be sustainable. Yet, ensuring sustainable production and consumption remains questionable in Asia. Several progressive companies have faced criticisms for not doing enough, while many smallholders and mid-size players are struggling to comply with tougher standards. At the same time, consumers are not necessarily spending their money based on certifications and this remains prevalent among major consumer markets. The lack of positive marketing for sustainably produced goods could further influence the perceptions of governments and consumers like the European Union’s stance on palm oil, and in turn impact the industry’s market access. Across Europe, China and India, what are the biggest market barriers that must be addressed to improve the marketing and drive higher demand for more certified products? How should the industry navigate the current regime of multiple certifications and/ or standards while maintaining its credibility and managing its costs? How far can the agroforestry industry develop a unifying voice on sustainability, while still maintaining a degree of commercial competitiveness in Asia? Mr. Widjaja is the Chairman and Chief Executive Officer of Singapore listed Golden Agri-Resources Ltd. (“GAR”), an integrated producer of palm-oil based products. GAR manages more than 500,000 hectares of plantation with over 170,000 employees. Mr. Widjaja is likewise a Vice Chairman of Sinar Mas, Executive Chairman of Singapore listed Sinarmas Land Limited, a property arm of the Sinar Mas operating mainly through investments in Indonesia, Singapore, Malaysia, China and the United Kingdom. In addition to his active involvement in businesses, he holds various positions in numerous organizations, i.e. Vice Chairman of Agribusiness, Food, and Forestry Sector of the Indonesian Chamber of Commerce & Industry (KADIN Indonesia); Co-Chairman of Partnership for Indonesia’s Sustainable Agriculture (PISAgro); Member of the Advisory Board of the Indonesian Palm Oil Association (GAPKI); and other national leading organizations. Mr. Widjaja is also actively involved in charity activities and is currently the Vice Chairman of Buddhist Tzu Chi Foundation Indonesia. Mr. Widjaja earned his Bachelor of Commerce degree from Aoyama Gakuin University, Japan. He enjoys swimming, jogging, reading, and traveling for leisure. Prior to joining Unilever Petra worked for Musim Mas- a global palm oil corporation with operations spanning the entire palm oil supply chain- as the Director of CSR and Sustainable Development. And before she worked as the Group Sustainability Manager of New Britain Plantation Services in Singapore and Papua New Guinea- a large scale integrated, industrial producer of sustainable palm oil in Australasia including domestic sugar and beef production. NBPOL is a subsidiary of Sime Darby Plantations since 2015. Lucita Jasmin is the Director for Sustainability & External Affairs of APRIL Group, where she leads the advancement and implementation of APRIL’s sustainability commitments, policy and programmes, including stakeholder engagement and communications. Lucita has a global base of expertise in strategic and corporate communications in the intergovernmental and private sectors. 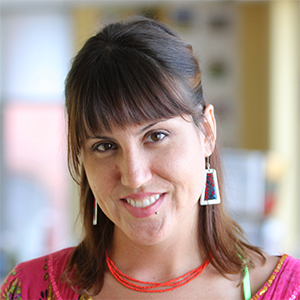 She has led intercultural teams that provided communications counsel to senior management, strategized and executed campaigns and advocacy initiatives, organized stakeholder outreach on priority sustainability issues, and mobilized partners to provide support. Prior to her current post, Lucita served at the United Nations Environment Programme headquarters in Nairobi, Kenya where she led strategy development, planning and execution of global communication programmes and campaigns, focused on resource efficiency and sustainable consumption and production. Dr. Orathai Pongruktham is currently serving as the Director of Project Development Department, Thailand Environment Institute (TEI). TEI is a non-profit, non-governmental organization. Since its establishment in 1993, TEI endeavors to addressing environmental conservation and sustainable development issues, particularly in Thailand and in the region. Dr. Pongruktham is dedicated to work with local, national and international partners to promote education, science and wellbeing of human and nature. She has intensive and extensive experience in international coordination. She had spent over five years in the US working with the University of Mississippi and the United States Army Corps of Engineers while collaborating with other universities in the US and Europe. More recently, she has been working with a number of international organizations in Thailand to address human wellbeing and environmental challenges in the region, such as Health and Policy Programme (IHPP), World Wildlife Fund (WWF), International Union for Conservation of Nature (IUCN), the United Nations Educational, Scientific and Cultural Organization (UNESCO) and the United Nations Environment Programme (UN Environment). Her roles are particularly focused on promoting partnership, providing technical support and facilitating implementation for scientific education, capacity building, natural resources and environmental conservation, sustainable development and policy development. With TEI, Dr. Pongruktham strives to strengthen national and international collaboration which enhance relevant stakeholder knowledge on the environment and sustainable development; drive sound environmental and development policies; raise public awareness on environmental and development challenges; strengthen environmental management capacities, and assist indigenous communities on climate change adaptation and mitigation. Furthermore, she is coordinating TEI’s initiative to support leading business organizations in Thailand on sustainable development through Thailand Business Council for Sustainable Development (TBCSD) which is one of the regional networks of World Business Council for Sustainable Development (WBCSD). Nigel Sizer served for two years as president of the Rainforest Alliance until January 2018. He helped lead the successful merger with the leading Dutch-based non-profit UTZ and following the merger shifted to his current role as Chief Program Officer role, continuing to be based in New York. 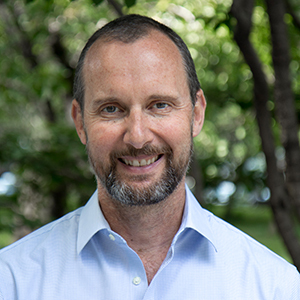 As the former global director of the Forests Program at the World Resources Institute, Sizer led a hundred-person team across Africa, Asia, and Latin America and launched path-breaking partnerships including the award-winning Global Forest Watch and the Global Restoration Initiative. Sizer also served as vice president for Asia-Pacific with Rare, where he developed grassroots efforts to link impoverished communities in Indonesia to global carbon markets and pioneered community-based fisheries and marine protected areas efforts. In 2008, he served as lead advisor on climate change and energy issues in Asia to former US President Bill Clinton and the Clinton Global Initiative. He has also worked with the United Nations Environment Program (UNEP) in Nairobi and established The Nature Conservancy’s Asia-Pacific Forest Program. He also founded and co-chaired The Forests Dialogue, and helped establish and lead the Asia Forest Partnership. A globally-recognized authority on forests, ecology, climate change and development, Sizer holds Bachelors, Masters, and Doctoral degrees in natural sciences and tropical forest ecology from the University of Cambridge. He has lived and worked in Brazil, Africa, and spent ten years in Indonesia. He has served on numerous boards and advisory groups including the Tropical Forest Alliance, the Rainforest Foundation, the Amazon Alliance, the Global Forest Foundation, and the Andean Center for Sustainable Development. He has been a frequent commentator on environment and development issues for the BBC, CNN, and Al Jazeera. He is a dual citizen of the United Kingdom and the United States. Nirarta “Koni” Samadhi is the country director of WRI Indonesia. Formerly known as Deputy Minister of Indonesia’s Unit for Development Monitoring and Oversight (UKP4), he and WRI have worked together over many years, and he joins WRI Indonesia at a time when its work in the forest, land use, and governance sectors is expanding. While at UKP4, Koni played a leading role in designing policies such as Indonesia’s groundbreaking forest moratorium, establishing Indonesia’s new REDD+ agency (BP REDD+), and driving the OneMap Initiative to harmonize Indonesia’s land use planning. Koni previously served as chair of the Working Group on Moratorium Monitoring, was part of the Indonesia REDD+ Task Force, and worked with the UNDP as a strategic planning advisor and head of Papua Accelerated Development (PADU) Advance Team. During his tenure at UKP4, Koni observed that WRI was consistent in contributing significant work to improve environmental management, and he would like to expand and tailor the organization’s contribution for the people of Indonesia. Through WRI Indonesia, he plans to work with all stakeholders and promote innovations to help ensure that the new administration, as well as sub-national governments, will deliver sustainable development programs. The world’s largest trade deal between Europe and Japan in 2018 may have marked a turning point in the fight against climate change when it became the first Europe has signed with a specific provision on the Paris climate agreement. This in turn, could pave the way for trade in renewable energy, and other low-carbon solutions. Individual economies also stand to benefit with the increase in availability and lower cost of climate-friendly goods and services. At the same time, trade and/ or non-trade barriers may be introduced to protect domestic production while discouraging more efficient and sustainable practices elsewhere, as observed in instances like the palm oil industry. With the EU and ASEAN restarting the process of establishing a Free Trade Agreement (FTA), it is critical to ensure that trade continues to support ASEAN countries’ shift to a low-carbon economy and thereby incentivise companies and financial institutions to be more sustainable. This workshop will focus on what green and sustainable trade means for ASEAN’s agroforestry sector and the extent to which trade can shape the future sustainability of the supply chain. It will also discuss the opportunities – beyond trade – for inter-regional collaboration among different stakeholders to better address climate change. What are some key ingredients for trade agreements to become effective tools to combat climate change? As the current coordinator for ASEAN-EU dialogue relations, how can Singapore play a constructive role in promoting sustainable practices in the agroforestry sector? Beyond trade, what are some opportunities for inter-regional collaboration among different stakeholders to address climate change effectively? Tengfei Wang has been an Economic Affairs Officer at the United Nations Economic and Social Commission for Asia and the Pacific (UNESCAP) since 2008. His work has been focused on promoting development of trade and transport facilitations, logistics, regional integration, technology and innovation, and sustainable development in Asia and the Pacific. He has extensive experience in working with countries in Asia and the Pacific through implementing projects, providing technical advice and capacity building, and supporting inter-governmental meetings and negotiations. He is the author of nearly 100 publications including the official background documents for inter-governmental meetings, study reports, policy briefs and academic research papers. Prior to joining the UNESCAP, he worked in the United Kingdom first as a research fellow at the Newcastle University and subsequently as a senior lecturer (Associate Professor) at the University of Plymouth. He earned his PhD from the Hong Kong Polytechnic University. Hosuk Lee-Makiyama is Director of ECIPE (European Centre for International Political Economy), a think tank focusing on the global economy. He is regularly consulted by the G7 governments and the principal international organisations on trade and economic diplomacy. Lee-Makiyama has also played a prominent role on a number of trade agreements between Europe and Asia, including those with Korea, Japan and the ASEAN countries. He has been called as an expert to the European Parliament, U.S. Congress, UK House of Commons, World Trade Organization, OECD and most G20 governments. He is a regular commentator in the Financial Times, BBC, Nikkei, Reuters, CCTV, Al Jazeera and other international media. Prior to ECIPE, he served in the Ministry of Foreign Affairs of Sweden and in the private sector. He is also a Senior Fellow of London School of Economics in International Relations. He tweets frequently as @leemakiyama. 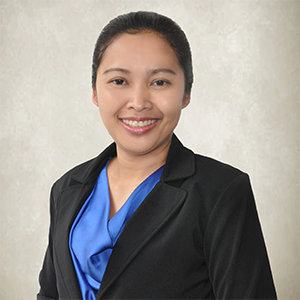 Ms. Vivian Sia was appointed Deputy Director of Agri-commodities Department of Trade Division with effect from 1 January 2015. Enterprise Singapore, formerly International Enterprise Singapore and SPRING Singapore, is the government agency championing enterprise development. The agency works with committed companies to build capabilities, innovate and internationalise. It also supports the growth of Singapore as a hub for global trading and start-ups. As the national standards and accreditation body, Enterprise Singapore continues to build trust in Singapore’s products and services through quality and standards. 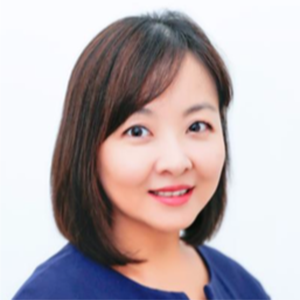 In this role, Vivian is responsible for the growth of agri-commodities trade cluster in Singapore as she works with both SMEs and global companies, by developing and executing strategies to ensure Singapore remains competitive and conducive for trade. As Deputy Director, she is also leading various initiatives on innovation, talent development and sustainability for the Trade Division. 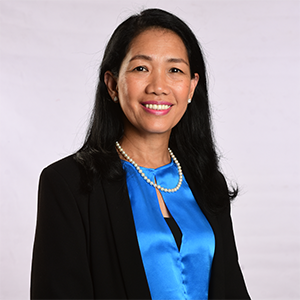 She currently represents Singapore as the Head of Delegation for International Rubber Study Group (IRSG) and Association for Natural Rubber Producing Countries (ANRPC). Vivian joined Enterprise Singapore in 2008. She started her career in Enterprise Singapore as Assistant Manager in Enterprise Services Group where she was tasked to develop programmes to help SMEs to export overseas. She assumed the appointment of Senior Manager, Agri-commodities and Consumer Division in 2011, in charge of the rubber sector in Singapore. 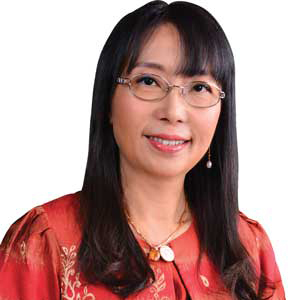 Her past portfolio also includes working with financial institutions, legal firms and tax partners to enhance the trade finance environment in Singapore. Rubens Marques was appointed President-Director of PT. LDC Indonesia in January 2018. Rubens joined LDC in 2011 as Indonesia Head of Palm and Biofuels, based in Jakarta, where he spearheaded the development of its Palm business in the country through robust commercial activities, joint ventures and strategic asset growth. In 2016, he moved to Geneva, Switzerland to oversee and drive LDC’s Palm expansion across Europe as the region’s Head of Tropical Oils. Prior to joining LDC, Rubens worked with Archer Daniels Midland (ADM) for 11 years based out of Brazil, US and Europe, holding various positions within the Oilseeds space. Rubens graduated from Mackenzie University in Sao Paulo, Brazil with a Bachelor of Business Administration, followed with an MBA in Agribusiness from FGV, Sao Paulo. A haze-free ASEAN by 2020 – are we there yet? The vision of a 2020 Haze-Free ASEAN is drawing closer. There has been some significant progress made on the ground, thanks to the combined effort of governments, the private sector, development aid agencies, financial institutions, and NGOs. In particular, the Indonesian government attributed the reduction in transboundary haze pollution to the successful implementation of policies like peatland restoration and moratoriums, a claim some NGOs have refuted. The concern is that this success has less to do with better forest and peatland management than with the milder weather conditions experienced post-2015, and gaps in these policies could be unravelled with El Nino looming on the horizon. This workshop will evaluate how far we are from the 2020 goal, and discuss best practices, current challenges and gaps, as well as future solutions needed to ensure that the skies in ASEAN remain blue. What are the current key challenges in achieving a haze-free ASEAN by 2020, and how have they evolved since the agreement was first signed in 2002? What are some success stories that can serve as important lessons to ensure that ASEAN can achieve this vision? What more needs to be done for instance, better collaboration between governments, private sector, financial institutions and NGOs? Jarot finished elementary and secondary school in Jakarta. He graduated from high school studies at SMA Negeri 8 Jakarta in 1977. Then, he continued his studies at the Faculty of Medicine, University of Indonesia, graduating in 1985. While further studies he completed at the National University of Singapore and graduated in 1995. Dr. Huijuan Wu is currently an assistant director of the Singapore Institute of International Affairs. 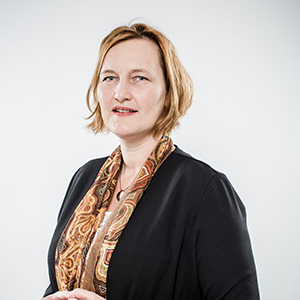 She oversees the SIIA’s sustainability programme with a focus on transboundary haze, sustainable resources management, climate change, ESG, and sustainable infrastructure. 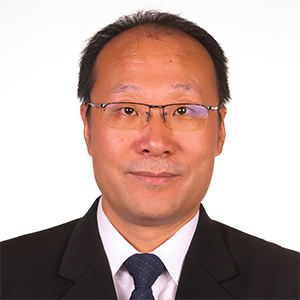 A sustainability scientist by training, Huijuan has a long-standing interest in emerging socio-environmental challenges related to water, energy, and climate. Huijuan holds a doctoral and a master’s degree from the University of Oxford. She was a Shell scholar and a SPORE (NUS, Peking and Oxford Research Enterprise) scholar. 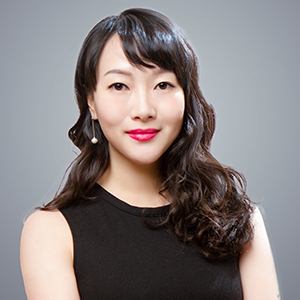 Previously, Huijuan was a research fellow at Lee Kuan Yew School of Public Policy, National University of Singapore. Her research focuses on integrated sustainability assessment and its application to water resources management. She co-led several research projects to study policy dimensions of urban water security and social-environmental impacts of hydropower within the lower Mekong basin. Note: This programme is subject to change.